Previous Article Next Article I need a new facial cleanser! Bye to Eau Thermale Avène Cleanance Hydra Soothing Cleansing cream! I need a new facial cleanser! 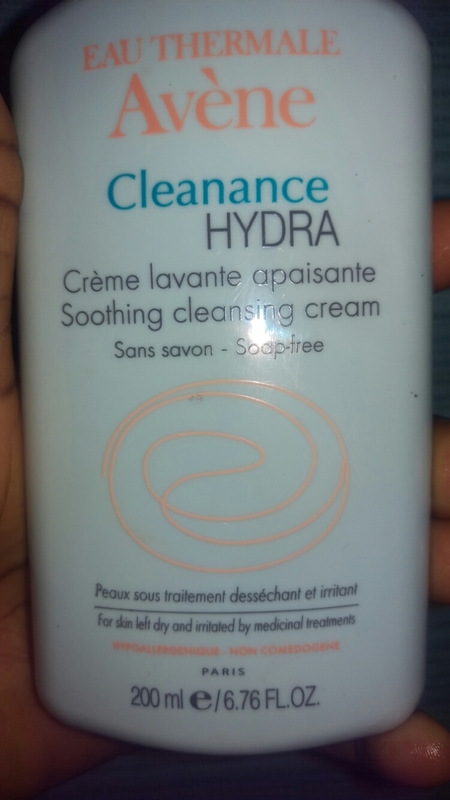 Bye to Eau Thermale Avène Cleanance Hydra Soothing Cleansing cream! For the last four or five months, I have been using Eau Thermale Avène Cleanance Hydra Crème lavante apaisante//Soothing Cleansing cream. Although it’s called a cleansing cream, it actually produces a bit of lather and has to be rinsed out. It worked well for me in the past but in the last month, I have observed that it leaves my face feeling stripped and dry. I don’t know if it’s because of the dry winter but I need to get a more moisturising cleanser. I like cleaners that lather but this time, I might opt for a no-rinse cleansing cream. I might return to it during the summer though. Do you have any suggestions for a cleanser which won’t leave my skin feeling stripped?